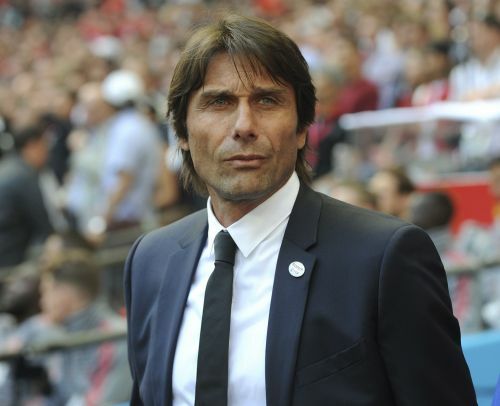 Antonio Conte's protracted divorce from Chelsea was finalized on Friday when he was fired after a two-year tenure in which he won the English Premier League and FA Cup but failed to gain the power he craved at the London club. Chelsea began a terse, four-sentence statement on its website, "Chelsea Football Club and Antonio Conte have parted company." Leaving Stamford Bridge was always the likely outcome for Conte following a season in which Chelsea missed out on Champions League qualification after a fifth-place league finish, 30 points behind champion Manchester City. The Italian coach regularly grumbled about his failure to exert control, particularly over transfers. Contrast that to the end of his first season at the club, where Conte was feted for leading Chelsea to the league title by seven points after a record-breaking run of 13 straight wins in the middle of the season, sparked by an inspired and bold change of formation. Conte took preseason training this week at Chelsea's practice base in Cobham with players who hadn't featured at the World Cup, but reports emerged in the Italian media on Thursday saying Conte had been fired. That speculation only intensified when Chelsea midfielder Cesc Fabregas and former Chelsea captain John Terry paid tribute to Conte on social media. "Thank you boss," Terry wrote on Twitter. "Great man, Great manager. I wish you every success in the future." The club's 64-word announcement was eventually made on Friday, ending with: "We wish Antonio every success in his future career." Conte still had a year left on a revised deal he signed last summer after delivering the fifth Premier League title since Roman Abramovich bought Chelsea in 2003. Only the pay was improved, though, with Conte's contract still running for just another two seasons — hardly a show of commitment by either the club or its manager. The Italian's main gripe for the past year was Chelsea's failure to land the signings he really wanted for its Premier League title defense. Chelsea was beaten to the signing of Romelu Lukaku by Manchester United and then Fernando Llorente by Tottenham, for example. "The club decides every player," he moaned last season. Winning the FA Cup by beating Manchester United at Wembley Stadium in May — and getting one over his great managerial rival, Jose Mourinho — proved to be Conte's last hurrah and maintained his record of winning a trophy every season he has been in charge of Juventus — where he won the Serie A for four straight years — and Chelsea. Chelsea seeks a 13th permanent manager under Abramovich's ownership, and at possibly the most turbulent period of the Russian billionaire's trophy-filled reign. It emerged in May that Abramovich had yet to have his British visa renewed amid a crackdown by authorities on associates of Russian President Vladimir Putin. Chelsea also halted plans to redevelop Stamford Bridge, citing an unfavorable climate to invest in the 500 million pound ($665 million) project. Sarri's future has been up in the air since Napoli hired Carlo Ancelotti as its new coach in May. Sarri spent three years at the club and led it to two runner-up finishes and a third place, playing an entertaining and high-energy brand of football like that seen at Man City under Pep Guardiola, Tottenham under Mauricio Pochettino, and Liverpool under Juergen Klopp. As Conte and many of his predecessors have learned, even winning trophies is no guarantee of job security at Chelsea under Abramovich.